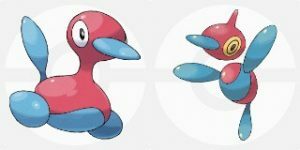 This article will show how to obtain Porygon, Porygon2 and PorygonZ in Pokemon Sun and Moon. You will receive Porygon from one of the staff at the Aether Paradise after completing the main storyline. After entering the Aether Foundation Building basement, head to the room at the right and talk to the staff. 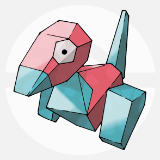 Porygon is a Pokemon whose gender is unknown, but you can obtain Porygon eggs by leaving it at the Pokemon Day Care with a Ditto. Porygon does not evolve through leveling up. To evolve it to Porygon2, it must be holding Up-grade when you trade it with another player. To evolve Porygon 2 to PorygonZ, it must be holding Dubious Disc when you trade it again with another player. Each item can be obtained by exchanging 32 Battle Points (BP) at the Battle Tree after completing the main storyline. In addition, Dubious Disc can be obtained by battling Faba who can be spotted near the 1st floor entrance of the Aether Paradise after finishing the game. can anyone help me out and trade with me? I will trade with you. You van get up-grade from Faba. Not the dubious disc. Hey, wait a minute. I just saw your comment, and you get the up-grade from some Aether worker and the dubious disc from Faba. I don’t know if you know that now, but just a heads up. I’ll do it. No tricks. Swear. I’m impressed, I need to say. Really hardly ever do I encounter a weblog that’s each educative and entertaining, and let me tell you, you may have hit the nail on the head. Your notion is outstanding; the issue is some thing that not enough individuals are speaking intelligently about. I’m extremely content that I stumbled across this in my search for something relating to this. Dude it’s the ather house. Ula’ula island route 15. Um.., hey dude, by the way it was the aether HOUSE, not the aether basement. Also, if anyone wants to know how to get Cosmog, ask me. How do I get to the basement in Aether Paradise? I WANT PORYGON! I’VE GOTS TO KNOW!